The Center for Medical Progress continues to release footage of abortion doctors candidly discussing gruesome late-term terminations and organ harvesting one month after its founder was indicted in California in connection to his undercover reports. The pro-life investigative journalists released a three-minute undercover video on Thursday taken from the 2014 and 2015 National Abortion Federation conventions. Officials from Planned Parenthood, the nation's largest abortion provider, and other industry insiders discuss the techniques they use to retrieve organs in the video. Dr. Lisa Harris, medical director of Planned Parenthood of Michigan, delivered a convention talk about the hidden side of the abortion industry. "Our stories don't really have a place in a lot of pro-choice discourse and rhetoric, right? The heads that get stuck that we can’t get out," she said as the audience laughed. "Those are all parts of our experience. But, there's no real good place for us to share those." Harris said that the pro-choice community should concede certain rhetorical points to the pro-life community, adding that abortion is an inherently violent act and a form of "killing." She said that abortion doctors "see the fetus the same way" that pro-life activists do, but that should not stop pro-choice advocates from defending their position. Neither the NAF nor Planned Parenthood returned request for comment. "I know Planned Parenthood sells a lot of stuff to people," Planned Parenthood of Maryland's Dr. Paul Blumenthal said. Dr. Ann Schutt-Aine, director of abortion services at Planned Parenthood Gulf Coast, described the struggle to keep babies from slipping out of the womb in order to avoid performing partial birth abortion, a practice made illegal in 2003. "I might ask for a second set of forceps to hold the body at the cervix, and pull off a leg or two so it's not PBA," she said. Planned Parenthood has denied any wrongdoing in its organ harvesting practices and has criticized the videos as "deceptively edited." The organization said that it would stop accepting cash payments—which it claimed were only reimbursements to recoup storage and transportation costs—from researchers for fetal organs after CMP began releasing videos in the summer of 2015. NAF had successfully obtained a court injunction barring the release of video footage from its convention. The Ninth Circuit Court of Appeals upheld that injunction in March. "There’s no denying that the smear campaign launched by the defendants has put abortion providers at risk, and we are grateful that the Ninth Circuit affirmed our preliminary injunction," NAF President Vicki Saporta said in a statement at the time. "As we’ve known all along, David Daleiden and his co-conspirators are the ones who broke the law, not abortion providers." Daleiden's attorneys at Steve Cooley & Associates released the new video. The firm is defending Daleiden from multiple felony charges filed by California Attorney General Xavier Becerra, a longtime Democratic lawmaker who has collected thousand of dollars in campaign contributions from Planned Parenthood and other pro-abortion groups. Several of the doctors captured in the newly released video, including Harris, were listed as victims in the state's indictment, which had previously hidden their identities as anonymous "Does." The law firm said that it published the footage to show that the abortion industry was attempting to "further suppress [Daleiden's] undercover journalism." "The plaintiff in the civil suit, the National Abortion Federation (NAF) and its partner Planned Parenthood (PP), had importuned the Attorney General to initiate a criminal investigation into David in order to further suppress his undercover journalism," the firm said in a release attached to the video. "David had exposed the most infamous and disturbing story of unethical and illegal medical practices since the Tuskegee Institute scandal-the harvesting and sale for profit of fetal organs, tissues and limbs from late term aborted fetuses." Pro-life activists hailed the release of the new footage. Marjorie Dannenfelser, president of the pro-life Susan B. Anthony List, said that the new video was the "most graphic" footage she had seen during the organ harvesting scandal. "This is the worst, most graphic conversation we have heard from the abortion industry to date. A civilized nation dares not look away from this assault on the core of our character as a people. This behavior is indefensible and must be stopped," she said in a release. 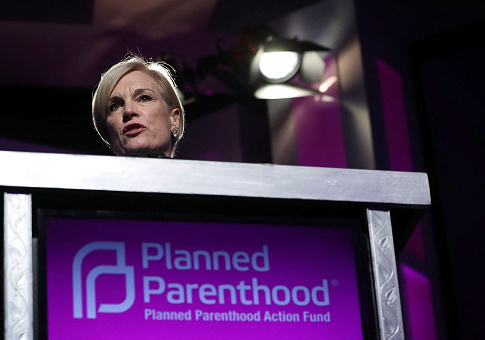 "Cecile Richards: I dare you to call these videos ‘deceptively edited’ today. There is no way the incredibly disturbing descriptions in this footage could have been placed in the mouths of senior Planned Parenthood staff and their associates."